Note: This program is also being offered on May 19, 2016. The CT State Board of Examiners of Environmental Professionals (LEP Board) has approved this course for 4.5 hours of continuing education credits (CTLEP-381). Note: This is the third offering of this course (initially offered on May 5 & 7, 2015). This program will be held on May 17, 2016 and runs from 12:15 PM to ~5 PM. The program will begin at the Old Lyme Inn, 85 Lyme Street in Old Lyme, CT. Please arrive by 12:00 PM for registration. 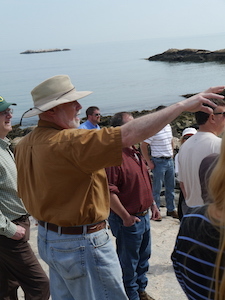 After the lecture portion of the program, each attendee will then proceed to Rocky Neck State Park for the field excursion. 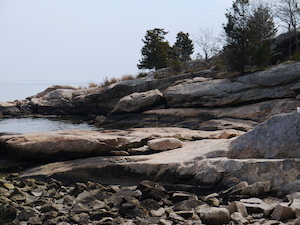 For Google map/directions to the Old Lyme Inn and Rocky Neck State Park, see: https://goo.gl/maps/TQbAo.